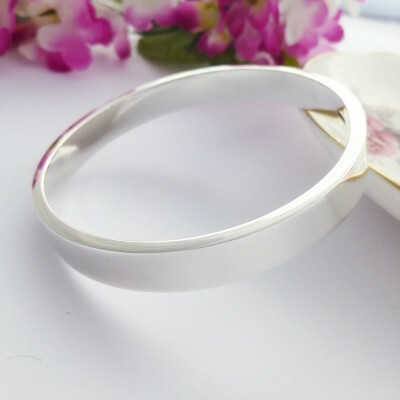 The gorgeous Isla Chunky Silver Bangle is a solid 925 sterling silver bangle that is classy, heavy weight and it looks fabulous on! The rectangular cross section of this bangle makes the Isla a stylish bangle that you will adore wearing! 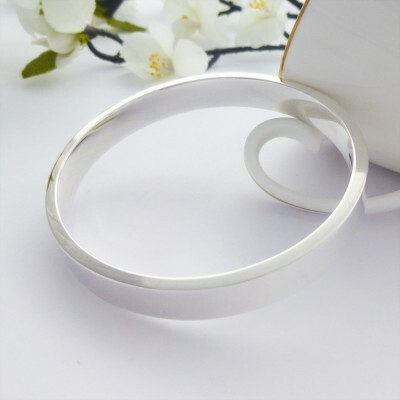 With its square, chic, chunky edges this bangle is simply beautiful and would make the most wonderful gift for someone special. 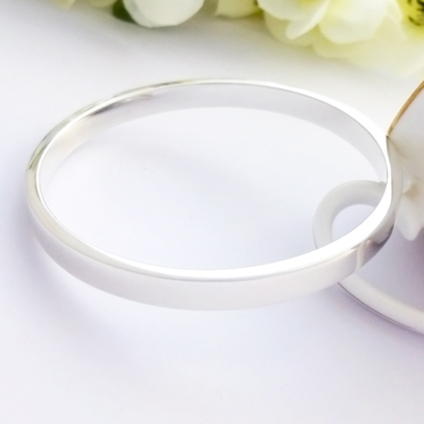 The Isla chunky Silver Bangle has been handmade in the UK exclusively for Guilty Bangles and has a highly polished finish to it. The Isla is a beautiful bangle that has a contemporary feel to it, it fits beautifully into the current fashion world and equally is a timeless, glamorous bangle. 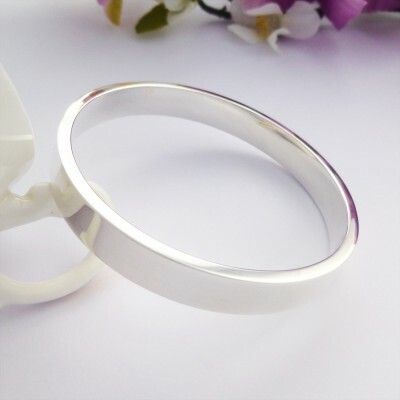 Hallmarked and handmade in the UK this bangle is perfect for most wrist sizes and can be personalised with our bangles engraving service. Subject to availability, the Isla is available in small wrist, regular wrist and large wrist sizes. The Isla has a rectangular shaped section that is 10mm wide and 4mm deep. Hand made in the West Country and hallmarked 925 sterling silver.